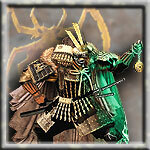 If the intention is to make a non tainted spider bushi school then maybe making the Obsidian Warrior school. It would essentially be the spider bushi school, except without taint and two paths. The obsidian blade path to make you exchange a party buff with a dueling technique. The obsidian magistrate path in which it drives the character to better hunt the lawless in that dark, spider fashion. And, based on Geiko's plot development, the Onyx Enforcers who hunt unregulated taint and maho. So we take the spider bushi school, change it slightly to reflect the absence of the taint, I don't into mechanics so I don't know all the values, but then add three different paths you could take to diversify yourself or just keep the basic school. That way it's a simple change to the spider bushi school and we only really have to make a few paths. Several things, Obsidian Warrior exists as a Bushi Advanced School in the Core Rulebook. Daigotsu Bushi is already a pretty good school even without the Taint. Can use Strength Trait for bonus damage or to partially negate wound penalties, give all allies in 30' a +2k0 bonus to damage for Strength Trait rounds, Simple Action attacks with Any weapon, hit an opponent and recover 5 wounds up to 20 over max, and once per skirmish armor + stance negating super attack that lasts for Strength Rounds. Even not enhanced by the Taint, its an awesome school and very Spider... its just that off the battlefield and outside of Military campaigns it does nothing to support Sahara and Shimekiri style characters. The GMs could have given Atsushi the Ronin school from Secrets of the Empire and little would have changed. I'd think that you would want to work off of the path from Imperial Histories. The one where you roll Intimidation/Willpower at the beginning of the duel, they make a fear check against it and if you succeed, they cannot explode. Sorry for the thread necro, but I haven't seen any board rules against it. If I just missed them, my apologies. Did this ever go anywhere? I always felt the Spider got shafted as far as their available schools went in 4e. Not that it particularly matters now that the line has ended and the brand was sold to FFG, but I am always on the lookout for homebrew rules such as these to help flesh out my Rokugan.